We create custom fabricated metal handrails, guardrails, fences and gates along with a variety of other specialty architectural metal products at reasonable prices. 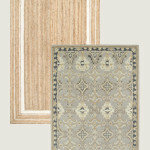 We are a licensed, insured “class A” Virginia Contractor and have been in business since 2006. 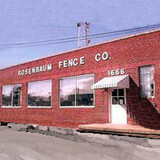 Since 1885, Rosenbaum Fence Company has serviced residential and commercial fencing sales and installation throughout the Hampton Roads, Virginia region. As a fencing contractor we specialize in all types of fencing including PVC vinyl, ornamental wrought iron, chain link, and wood privacy fencing. Gary’s Fence, Inc., founded in 1992, is a local and woman-owned business. We are proud to be the Tidewater’s premier choice for fencing, committed to quality workmanship and a personal level of service. As residential and commercial fencing specialists, we can help you improve the appearance and security of your property and enhance your privacy. Our products are selected for their quality and durability and include wood, chain link, vinyl, and aluminum. We customize every fence that is installed and allow each and every customer to enhance the construction by adding their own "flare" to the design. Our employees are all background-checked and drug-screened, and are extremely professional. We offer free estimates and warranties. 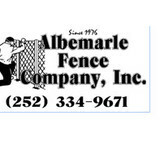 Since 1976 Albemarle Fence Company, Inc. has been the name for fence in Northeastern North Carolina and the Outer Banks. No other fence company compares to the pride that we put into our work. From Residential chain-link, vinyl, aluminum, wood, porchrails, and our specialty projects we cover all your needs that you would expect from a professional fence company. Industrial and Government work places have turned to us for commercial chain-link fences. See some of our testimonials. When you want the best there is to offer, give us a call and go with the ones you know you can TRUST. Hampton Roads premier custom manufacture of vinyl and aluminum fence and handrails. 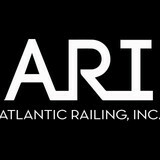 The place to come for the best in vinyl or aluminum handrails' fencing and decking products We are a local to Hampton Roads Virginia fabricator of the finest vinyl products available on the market. Whether it is handrails for your front porch or deck' a pergola or composite deck for the back yard we will custom make exactly what you want. We cater to contractors and the do it yourself homeowners alike and make installation an easy process . Fence Pro is a company under MSK Builder LLC. Matthew Kitchens is the proud owner of Fence Pro and has been providing quality workmanship to the Hampton Roads area for over 20 years. Fence Pro is a fully insured class "A" contractor that can design and complete any construction job you may need. There are dozens of fence companies out there, so why would anyone choose us over them? We have come to find out that many customers who have used contractors typically have bad to average customer service. Our goal at DanDale is to provide exceptional customer service! From the day we give our presentation to the day we fulfill the contract, we work to provide a great experience for you so that when your friends ask about us, then you’re glad to share your experience. But, how do we go about giving you a great customer experience? Our focus is to work as a team. When our crews work with you, we encourage one another to work together to take care of our customers. 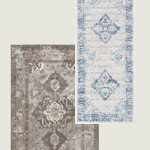 We are transparent with the quality of materials, timing, and meeting your expectations as best as possible. Call or email for a FREE estimate. We specialize in all fence repairs! We are A. Murphy Fence Co, a family-owned business, building fences, decks & screened porches since 1989. Our best advertising is our customers. 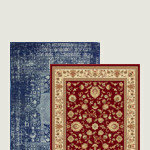 We take pride in being sure every customer is satisfied with us. The owner and founder of A. Murphy Fence Company is Harry A. Murphy. As a preteen and teenager he worked for his father's fence company in New Jersey. After high school he went to the United States Naval Academy in Annapolis, Maryland. He graduated and spent 12 years on active duty as a US Naval officer. After the birth of his second child he decided the nomadic life of the Navy was not his calling. So, he founded A Murphy Fence Company and also spent the next 8 years as a US Navy Reserve officer and retired as a Commander. The fence company thrived and Harry expanded to building decks, screened porches and home improvements and repairs. Harry has over 30 years of experience. If you have questions, please feel free to call Harry and he'll be glad to answer them for you. Security Fencing Company Inc. has focused on providing exceptional services to satisfied customers in the mid-Atlantic region since 1987. 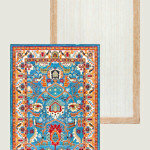 We believe in quality products and extraordinary service, delivered in a timely manner. Security Fencing Company Inc. is your ultimate source for fencing needs. Call us when you need fencing or guardrails, installation, and parts or repairs, whether residential or commercial. Let Security Fencing Company Inc. provide you with peace of mind and secure your home or business with quality fencing. We have been known for Handsome Custom Red Cedar Privacy Fencing Served 8 of the 10 Custom Home's at the 2012 Homearoma. "Second Generation" family Owned Custom Carpenters since 1973. We have just recently written a new business plan that is turning our direction by 180*. We have been known as the "builders choice" but are now focusing on Patrick's skills and vision in creating a backyard oasis for homeowners. We have worked with the best and finest custom builders in our area! The economy is returning and for our small family owned company we will focus on providing quality custom fencing one customer at a time! Your Virginia Beach, VA fence installation and repair professional will work with you to create your ideal fence. Fence installation or replacement. If you are in the market for a brand new fence, a contractor’s services will include walking you through various fence styles and materials, determining a suitable height, ensuring that all fence designs and plans are compliant with Virginia building codes, and that the fencing meets both your stylistic and security needs as the homeowner. Fences and gates must complement the grade of your property as well as the type of soil you have, so the contractor should always plan around these considerations. Additionally, if you don’t know exactly where your property lines are, he or she can commission a survey for you. Find a fence contractor in Virginia Beach, VA on Houzz. 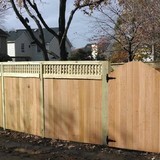 Narrow your search in the Professionals section of the website to Virginia Beach, VA fence contractors. You can also look through Virginia Beach, VA photos to find examples of fencing and gates that you like, then contact the professional who worked on them.